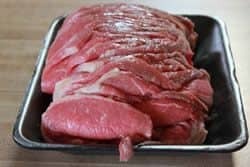 With this recipe, I am going to show you my version of how to make beef jerky and I am going to share the marinade that I use and a few tips and tricks to help you be successful. 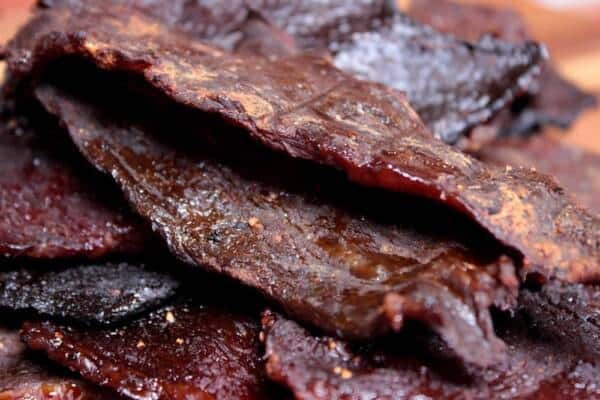 If you have never made beef jerky before then you might have the erroneous idea that it is difficult or that you need special equipment to make it but, on the contrary, you can make it with a smoker, your home oven or a dehydrator and with the help I am going to give you in this newsletter, it will be way better than anything you can purchase in the store.. I guarantee it! I have made multiple (umpteen) batches of this beef jerky recipe to perfect the process and you are the lucky recipients of all of that hard work, time and dedication. Let's just say, I don't want any more beef jerky for a while! 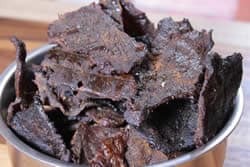 Disclaimer: This beef jerky recipe does not use the traditional cure and therefore must be cooked to 160°F fairly quickly before it is dried and must maintain 140°F or above while it is drying. 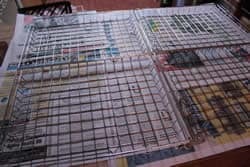 It also requires refrigeration in order to keep it safe once it is finished drying. Per the USDA, this is a completely acceptable method and is how I choose to do it personally. I do not store it for more than a few days and this method works for me. If your needs differ from mine or you need extended storage times, you will have to do some research and add the correct amount of cure to this recipe in order to keep it safe for you. I may choose to do a newsletter on cured beef jerky sometime in the future. I always use eye of round but you can also use top round, bottom round and possibly others. The eye of round is lean, has a small bit of fat on the top but it is easily trimmed off leaving you with the best meat for beef jerky in my opinion. The butcher will usually slice this for you if you ask and I usually tell them to cut it at about 1/8 inch thick. If you think about it, you can ask them what number they used on the slicer and you can then give them the the slicing number the next time which is more accurate than giving them a thickness in inches. Be sure to tell them whether you want it cut with or against the grain. I like it super tender so I have it cut against the grain most of the time.With the grain will make it more chewy if that is the way you like it. If you want to slice it yourself, use a very sharp knife and try to keep your slice thickness very consistent. Some will tell you to place the meat in the freezer for 30 minutes before slicing and this does help but it's not a substitute for an extremely sharp knife. Note: you do NOT have to marinate the meat but I highly recommend it. 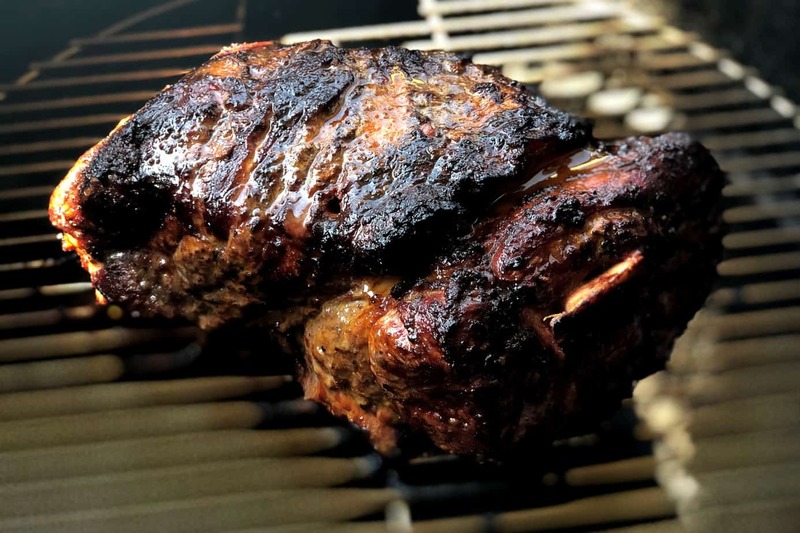 This is a great way to get some great flavor into the meat and if you follow my instructions, you will not have to season the meat at all after it marinates. 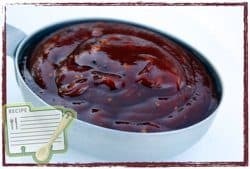 I have played around for several years with using my original rub and my original barbecue sauce (purchase recipes here) along with other ingredients to create a marinade that just works.. perfectly.. every time and I think I have finally come up with something that you will really like. My family and friends (my most honest critics) are telling me to not change a thing with this latest iteration and I have to agree that it is near perfect. 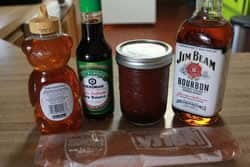 *you can substitute apple juice for the bourbon if you are so inclined, however, the bourbon does add a lot of flavor and the alcohol has plenty of time to evaporate before it is to the eating stage. I highly recommend you follow the recipe to the letter if possible. This recipe makes a little more than 2 cups of marinade and should be plenty to handle about 3 lbs of meat. 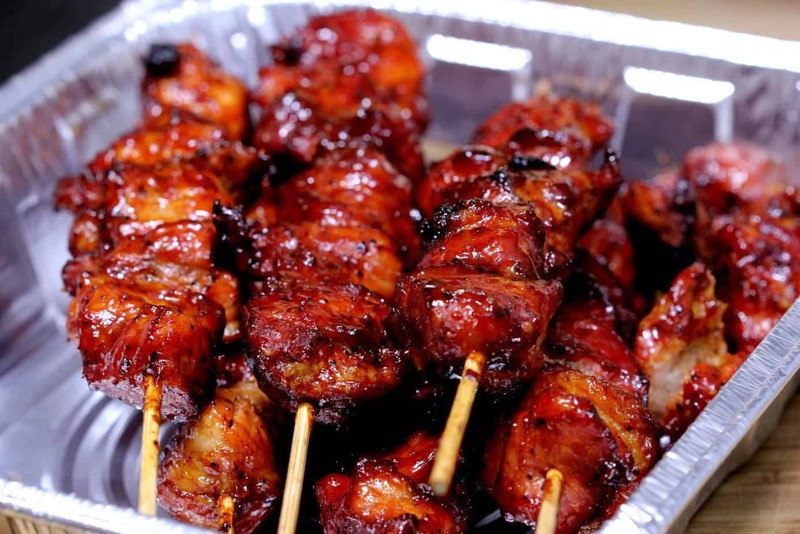 Once the marinade is complete, stir well then add the meat and the marinade into a 1-gallon ziptop bag. Seal the bag closed and tumble/massage the meat and the marinade gently to make sure all of the meat is in contact with the marinade. Note: Be sure to press out as much of the air as possible so that the bag and the marinade stay pressed up close to the meat. 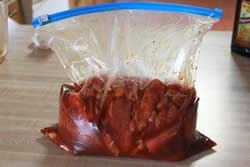 Place the bagged meat/marinade into a bowl to prevent leakage (this is always a great idea) and place the bowl into the fridge for 24 hours. 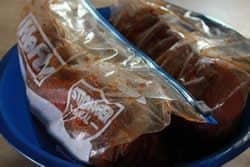 Every few hours or whenever you think about it, take the bag and massage it around a little bit to make sure the marinade is able to affect all of the meat equally. 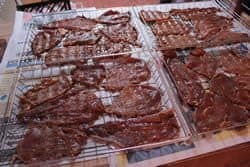 Once the meat has marinated for 24 hours or so, discard the marinade and place the slices of meat onto Bradley racks or you can even order special jerky racks which are especially made for doing jerky. You can also just place the meat directly onto the grate of your smoker. Place the Bradley racks in the smoker and smoke the meat at 170-180°F for 2-3 hours or until the meat reaches 160°F. Note: Since we are drying the meat, it is a great idea to keep the environment as non-humid as possible. For this reason, I recommend you leave the water pan/bowl dry so as to not create steam. Some folks even leave the door of the smoker slightly ajar so the humidity can escape. When the meat reaches it's done temperature, it can be continued with just heat or transferred to a dehydrator as long as you can maintain the meat temperature at or above 140°F. If this cannot be done safely, then simply leave it in the smoker and maintain 170-180°F until the meat is dried. Be sure that plenty of air is circulating through the smoker as it is the air that dries the meat. Check the meat every hour or so until it gets close then you will want to check it every 30 minutes or so until it has the dryness, and texture that you are looking for. It is difficult to describe beef jerky that is done perfectly other than the fact that you should be able to bend it without it breaking in half. I like to see some white fibers when I bend “properly done” beef jerky. My most important tip of the day: Do not overdry the jerky. It will always be more dry than it seems once it cools so take it out just shy of that point. Once it cools down, it will be more brittle, more dry and more done than you thought it was. Ask me how I know this?! I have the 2900ECB-9 Dehydrator by Excalibur and I love it beyond words. I've had it since 2010 and it still works as good as the day I got it. 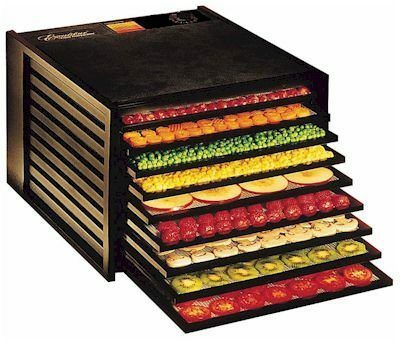 With a 7-inch fan, adjustable thermostat (95-155°F) and 9 trays, it is wonderful for doing dried fruits as well as jerky. I just can't say enough good things about it. In addition to beef jerky, I make fruit jerky out of apple sauce and other fruit puree as well. Once the meat is cooked and smoked to 160°F, I transfer it to the dehydrator and leave it there at 155°F, until it is done. With the rather large fan, it dries quickly and safely. 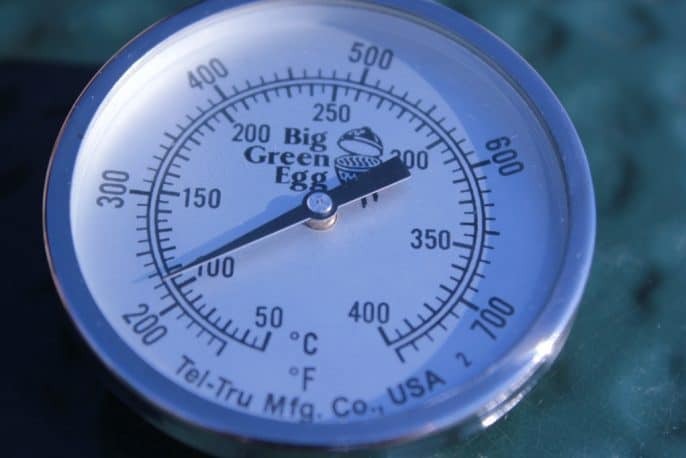 170 to 180°F is the preferred smoker temperature if possible. I have corrected the instructions to reflect this temperature range consistently throughout the page. 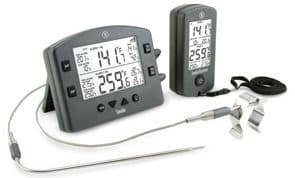 When meat is sliced 1/8″ to 1/4″ thick, how do you get an accurate internal meat temperature reading? Eric, Using a basic thermometer, this can be difficult. I use a Thermapen made by Thermoworks. It has a tip that is very small in diameter. It is also extremely accurate and super fast. 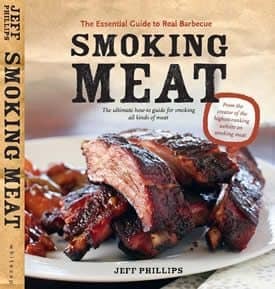 And a friend smokes in a bradly and his meat is more moist , can u tell me why ? 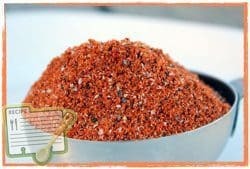 I personally prefer using ground meat for jerky, is there a way to add the marinade into the meat mixer? If so how much would be a good starting point? Any help is appreciated. Most meat slicers use the metric system and 1/8″ would be a hair over #3. just thought I would throw that out to ya. 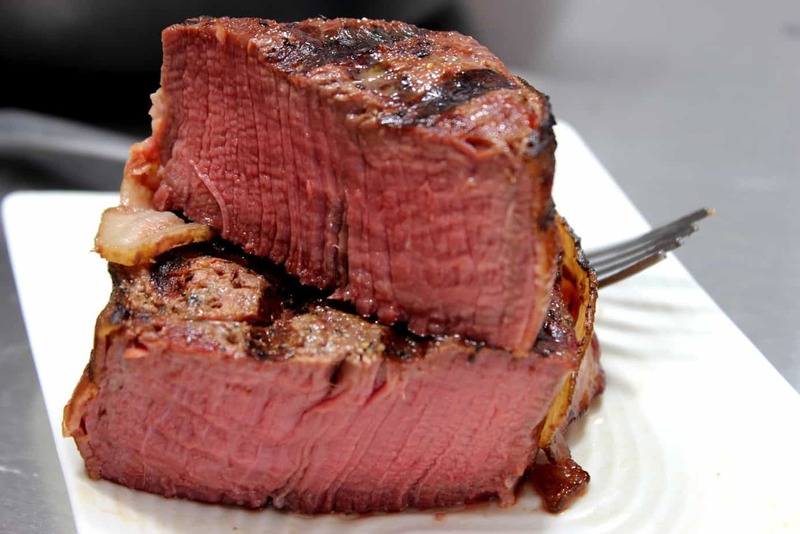 Is there a secret other than a thermapen to check the temperature on meat that thin? 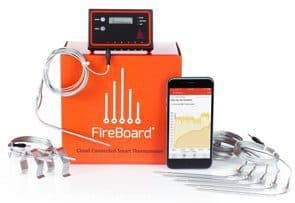 I havent bought a thermapen yet and want to make some jerky. Do you have any suggestions. Thank You your sauce gets raves everytime I make it available. My favorite thing to do is to bbq and smoke meat. 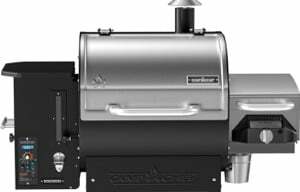 I have several sizes and types of smokers from the patio size to pull behind trailers. I enjoy the emails and ideas. 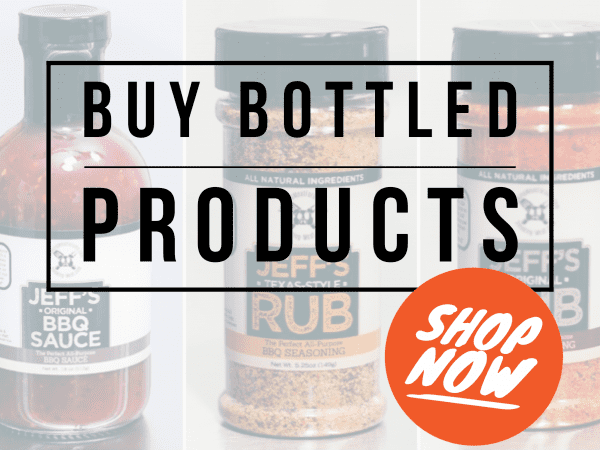 I also have ordered the rub and sauce recipes and love them. 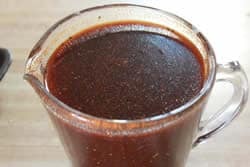 Some of my family likes a little vinegar base sauce so I have added a cup of apple cider vinegar to the recipe and did nothing else and they love it. So now I make a batch of both and have some for everyone. THANKS! survive temperatures of 140 degrees Fahrenheit (60 degrees Celsius). I believe they are 13 x 16 if I am remembering correctly. Hey Jeff, coming to you all the way from northern Ontario Canada here. 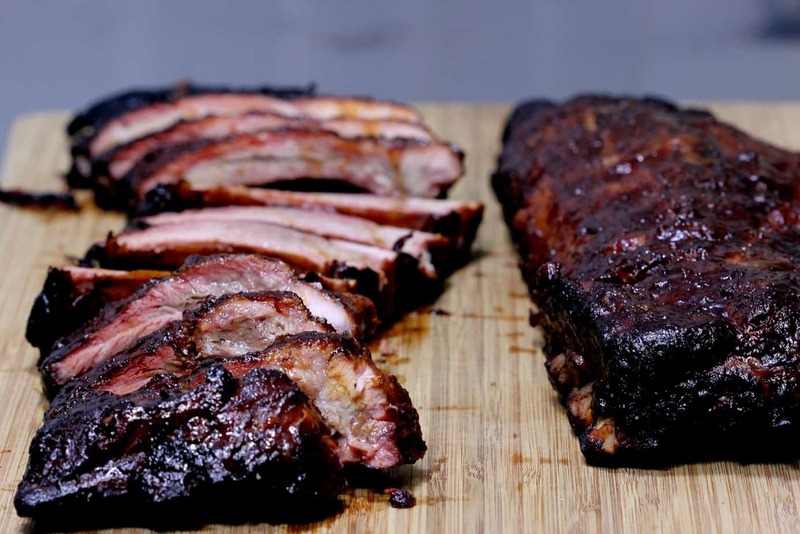 I have had my smoker for almost one year now and have ordered your rub and sauce and have used them very often. I also own your book which I use a lot. 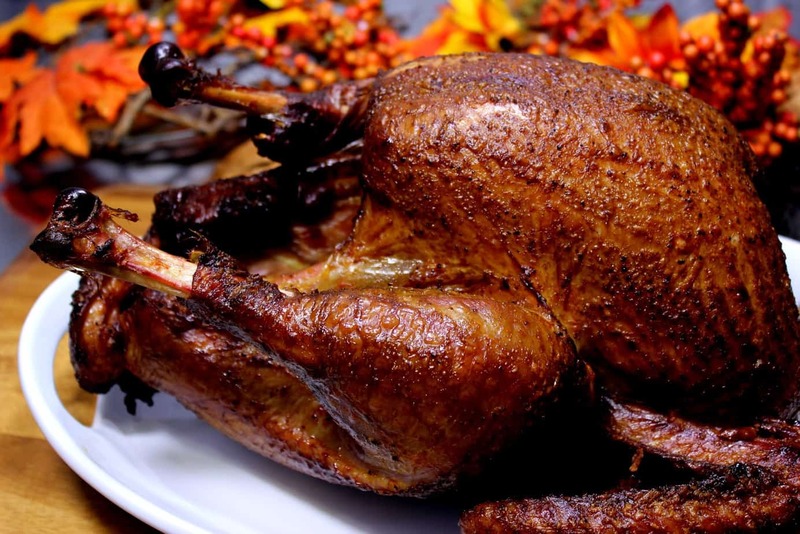 I just recently made some smoked whole trout, chicken wings and also tried the pork tenderloin and chicken. Simply amazing. Thank you so much! You never mentioned what type of smoke worked best. I tried a hickory\mesquite combo. Turned out pretty good but was first time smoking any type of beef. I ordered your sauce and recipe for rub. Have been charged but have not received them yet. Rick, The download email probably got caught by a spam filter. I have sent the recipes and your download access credentials to you manually via email. Please let me know if you need further help with this. Same for me. 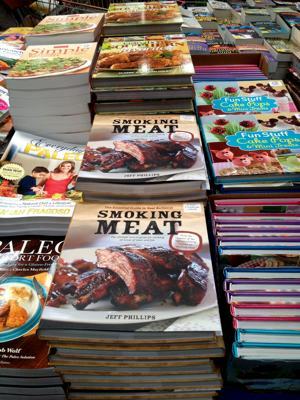 I have had your recipes for quite a few years & just love the raving reviews I get every time I smoke thanks to you, your book, & your website. I would like to receive your news letter without the ads. Bought your rub and sauce recipes June of 2012. LOVE THEM on everything. My question is the ads on the newsletter were supposed to go away–they haven't. Can you fix it? 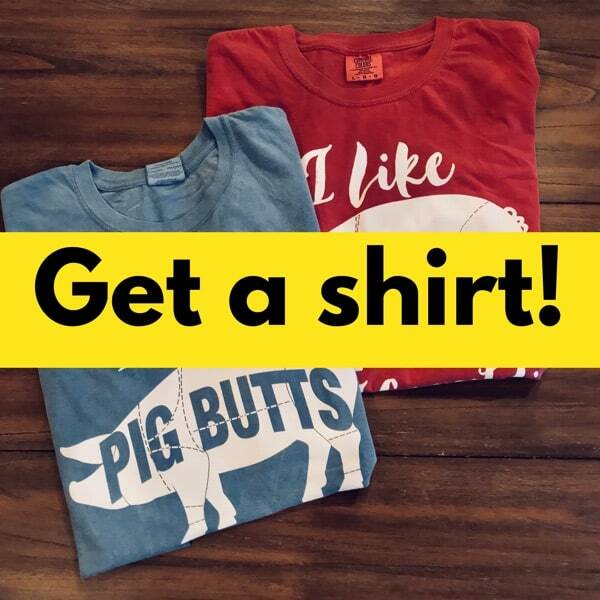 I have added you to the customers list.. be sure to click on the confirmation link in your email. I have added you to the customers newsletter.. be sure to click on the confirmation link in your email. I do not have the bradley racks, but instead insert a toothpick in one end and hang meat from smoker racks. Best jerkey I have ever made.